God's Champion, God's Champion: the life of Job > Who's in charge? Several years ago, I preached through the Old Testament book of Job. There was very positive feedback from the congragation. They were encouraged by the insistance that God was a God of grace and relationship. Job's friends insisted that God was a God of performance and behavior. Job answered their challenges and God settles the issue in the last chapter when he declard that Job spoke what was right of Him. 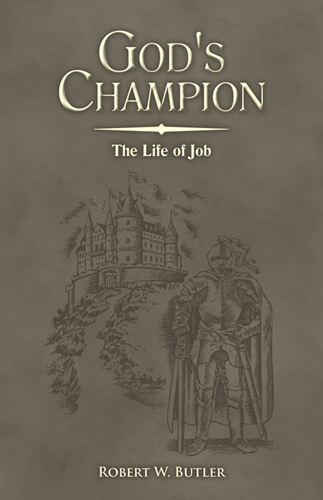 Get a copy of pastor's new book, God's Champion: the Life of Job. Signed copies are available at church on Sunday mornings. Please, join us for service and get a copy of the book.